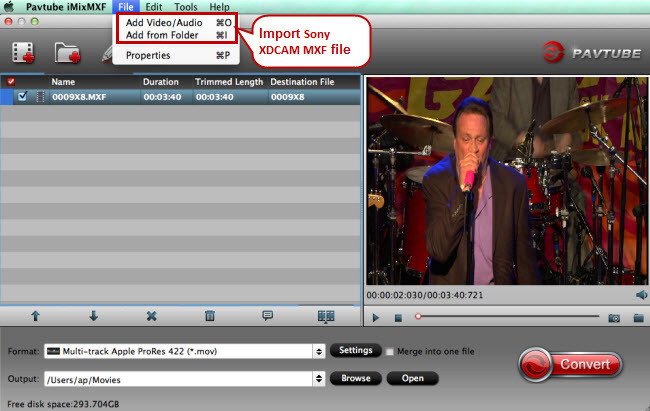 Before converting, connect your MXF Camcorder to Mavericks with USB 2.0 cable or use card reader to transfer the.mxf files to Apple hard drive disk. 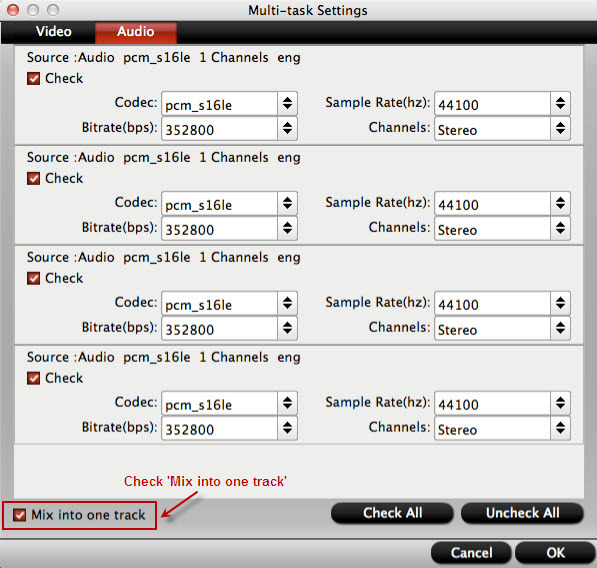 Different from other MXF converters, Pavtube iMixMXF is able to output multi-track Apple RreRes formats for FCP X, multi-track MOV for various editor tools, making it stand out from the rest. 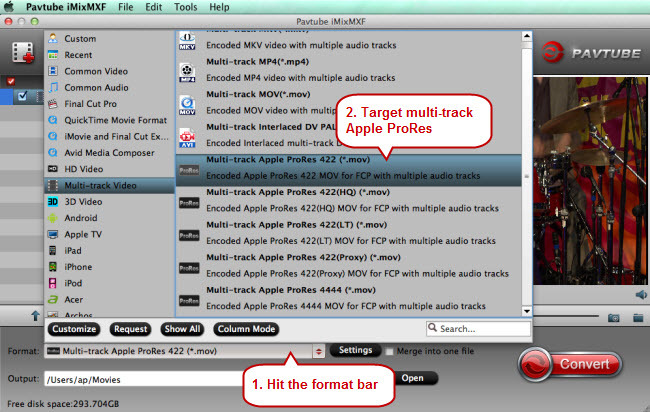 To preserve and produce multi-track video, click the "Format" bar to follow "Multi-track Video" ＞ "Multi-track Apple ProRes 422 (*.mov)", "Multi-track MOV", Multi-track MP4" for broadcasting, further editing, delivering and playing.